The Lutheran Church—Missouri Synod began its involvement in The Gambia in 2001 when it responded to a request for assistance by a group of 256 Christian nationals representing four preaching stations, who found the LCMS through its Internet presence. Subsequently, LCMS personnel visited The Gambia in 2001 to offer support for planting churches and training leaders. LCMS leaders also helped to facilitate a partnership between The Lutheran Church of Nigeria (LCN) and these Gambian Christians. The Lutheran Church of Nigeria sent its first foreign missionary to serve in The Gambia in 2001. The first church building was dedicated, and the first Baptisms of 104 people and confirmations of 84 people were celebrated in May 2002. The LCMS has supported mercy work in The Gambia through providing transportation for lay leaders to attend training and providing funds for water wells. Currently, mercy funds provide for building a well at a nursery school to improve health, hygiene of students and the community. 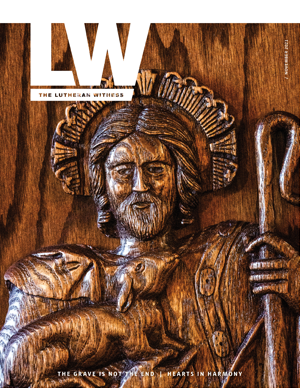 Currently, teaching Lutheran doctrine remains a high priority. 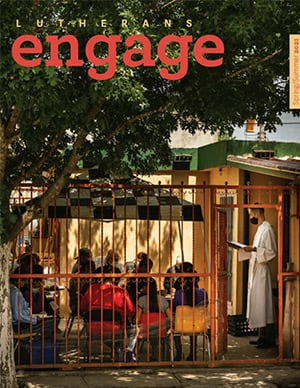 According to church leaders, the need to translate materials and engage in literacy work is also urgent. Rev. Samuel Essien from the LCN serves in The Gambia as an Alliance missionary, along with his family, through a partnership between the LCMS and the LCN.